Occasions baked goods and coffee are delicious! 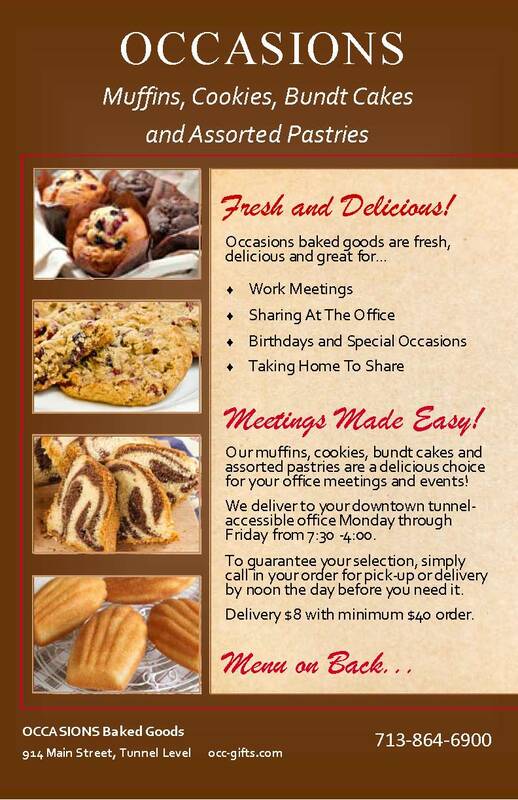 We deliver to downtown tunnel-accessible offices Monday - Friday from 7:30 - 4:00. Stop in to choose your tasty selections or call in your order at 713-864-6900! 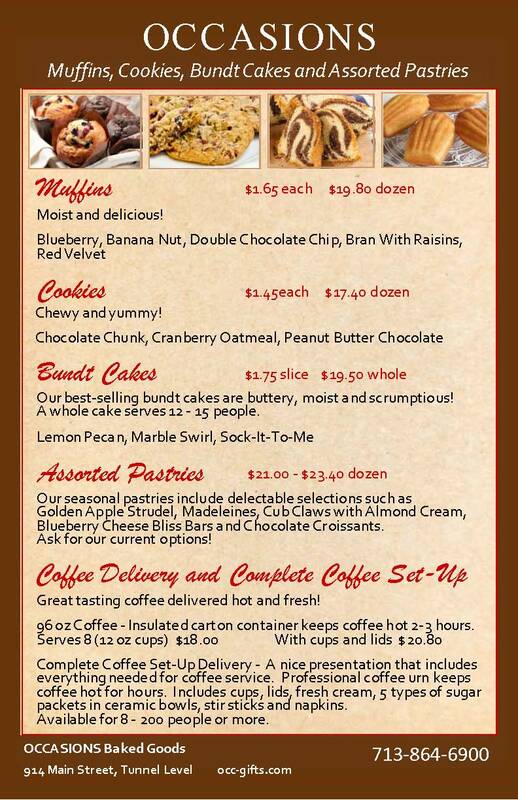 See our menu below for more information on our baked goods!